Willie Nelson Earns Lifetime Achievement Award! Willie Nelson will be attending to accept his award for The Emerald Cup Lifetime Achievement Award. To honor him, they will be renaming the award to The Willie Nelson Award for future honorees. What started out as a small friendly sun grown cannabis competition in Mendocino has evolved into an international lifestyle event. We are determined folks intent on spreading our message across the world. We’re teaching and inspiring everyone involved to live and farm organically. 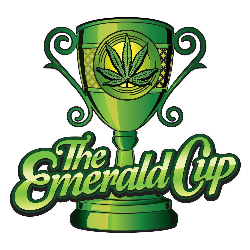 The Emerald Cup is a true gathering of our cannabis tribe. It’s where small craft farmers and industry leaders come together to present the highest quality cannabis products. Whatever you’re looking for in regards to cannabis, you’ll find it beyond your wildest imagination. It’s the party of the year with world class speakers, organic food vendors, California’s best cannabis, and amazing music artists.